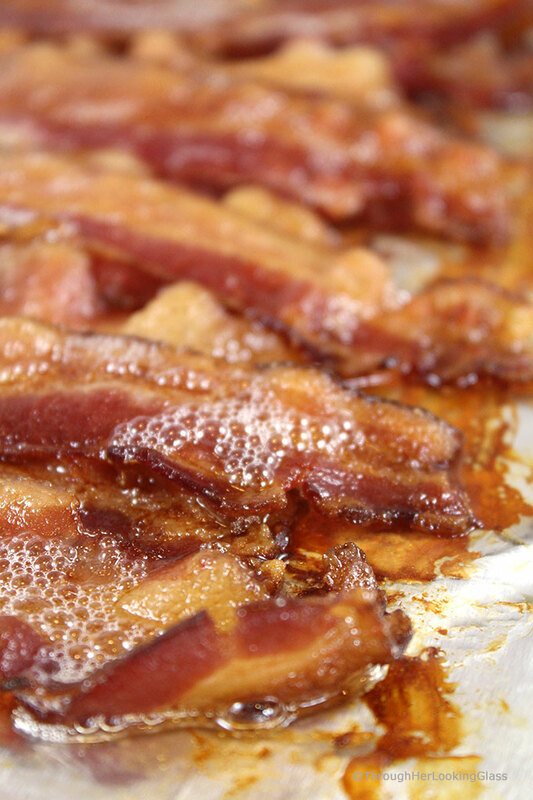 If you want to know How to Bake Bacon in the Oven, then you’ve come to the right place! Baking bacon in the oven is so much easier (and less messy) than frying it on the stovetop or cooking it in the microwave. 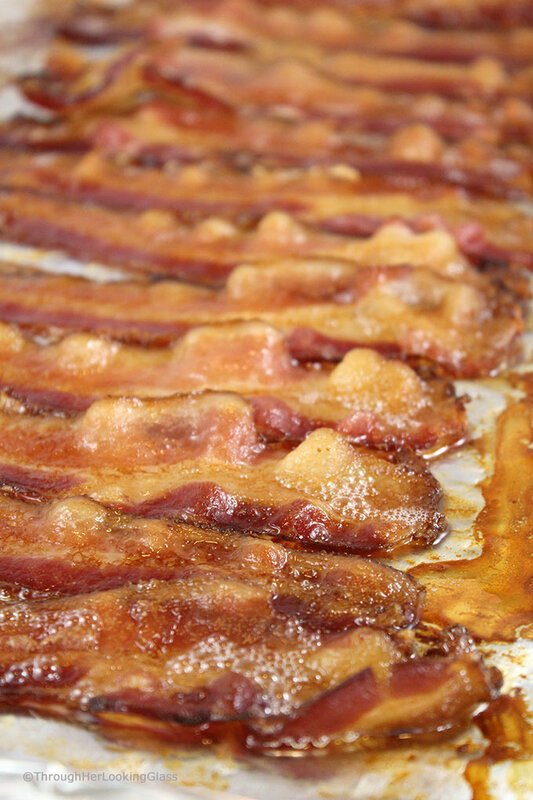 Learn all the best tips to bake bacon in the oven today! Everybody loves bacon. At least everyone I know. In fact, we were having dinner with a friend recently and he told me all about his love affair with bacon. He loves bacon so much that he and a few friends went in together and bought a piglet. They kept the piglet at his friend’s farm in the country and fed it top-notch, organic pig food and treated it like the golden goose….er… pig. Until that fateful day when it was no longer a cute little piglet anymore, but a big fat hog. Then they took the hog on a little field trip. A field trip to the processing plant where the pig was quickly transformed into bacon, pork chops, ham steaks and sausage. They split the bounty three ways and Bob filled his chest freezer chock-full of tightly paper wrapped bundles. He works from home and told me with a gleam in his eye, that it’s all he can do to concentrate with that “bacon bacon bacon” calling his name from the freezer all day! Too funny. I love bacon and I’m guessing you do too. We enjoy it sprinkled on salads and baked potatoes, served with breakfast, in pasta dishes and soups or layered on BLT’s. And then there’s that warm maple bacon dressing on spinach salad. Seriously, that’s to die for. I’ve heard of chocolate covered bacon too, but haven’t tried it yet. (Have you?) 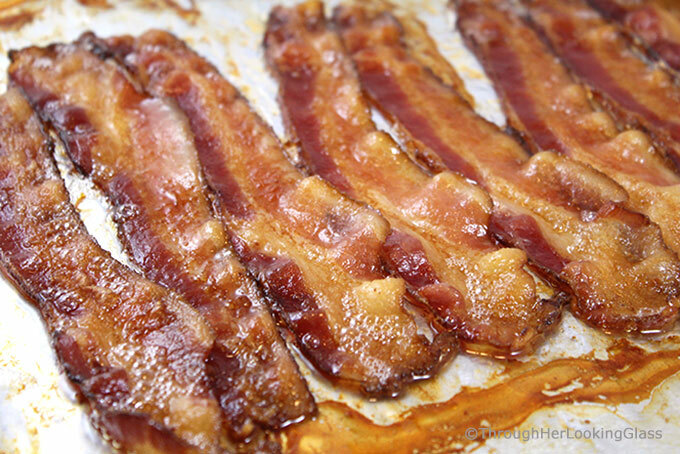 I plan to put a recipe for maple glazed bacon here on the blog soon, so stay tuned. I do have slight guilt twinges re: eating bacon when I recall the movie Babe. The star is a sweet little pig named Babe who is loving and kind to all the animals on the farm. He’s really quite a peacemaker and actually seems more canine than pig. It’s his husky little voice that’s so endearing. That’s what gives me occasional pangs about eating bacon: the movie star pig Babe. (And then there’s the Charlotte’s Web Wilbur to consider.) I have a high school friend who boycotts pork altogether. She just can’t bring herself to consume anything quite so adorable as a pig. But at the breakfast table, I try to forget the sourcing and just thank God for bacon. Why Bake Bacon in the Oven? It’s easier and neater than frying on the stovetop! It cooks flatter and more evenly. 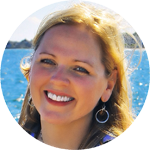 No more grease splatters on your clothes and stovetop! It cooks more evenly in the oven than in the microwave. You can cook large quantities of bacon at a time in the oven. Line your baking pan with foil or parchment paper. It’s ok to let the slice overlap just slightly, because the bacon will shrink as it cooks. Place your baking pan in the middle rack of the oven. 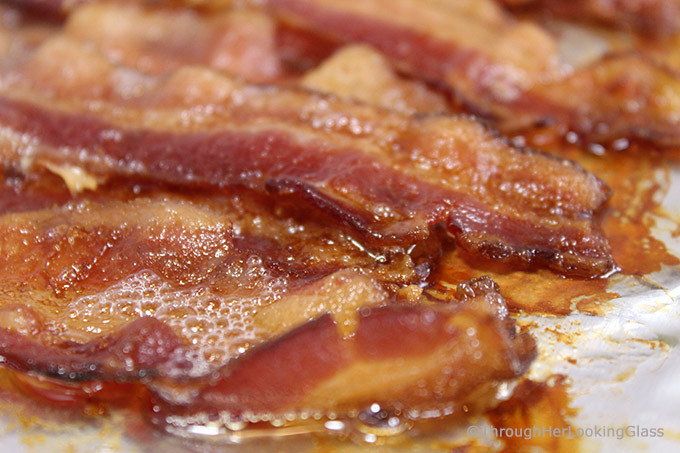 Some folks swear by starting bacon cooking in a cold oven and letting it bake as it preheats. I’ve baked bacon starting from both a cold and preheated oven, and both work well. 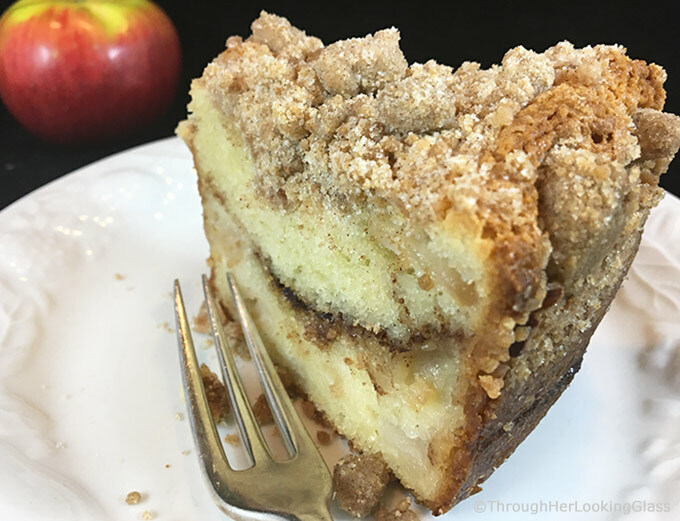 I bake mine at 375°, but if you like it a little crisper or want it to cook a little faster, you can up the temp. to 400°. But be very careful, I’ve heard of fireballs happening with the grease at 400°. That’s why I recommend 375°. Plan ahead – if using the thick cut bacon, it’s going to take longer to cook. Line large baking sheet with baking parchment or foil. 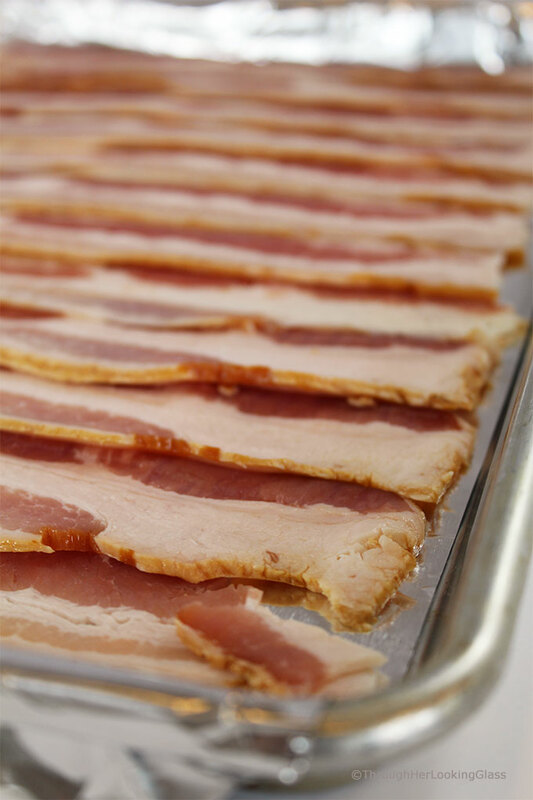 Separate and lay bacon slices out single file on the prepared baking sheet. It's ok if bacon slightly overlaps, because it shrinks as it bakes. Bake for 20 - 25 minutes, depending on how chewy or crisp you like your bacon. If you like it really crisp, you can bump up the temperature to 400°. You won't need to flip the bacon. When the bacon is cooked to your liking, remove from the oven. Carefully transfer bacon slices to paper towels to drain off the excess grease. Is Bob the Bob I know??!! In Nashua?? If so, I’m going to have to stop by!! Love cooking bacon in the oven! I’ve been doing this for 3-4 years! It’s fabulous - and so much better!!! That's 'cuz you so smaht, Mike Dennehy! Nothing better than bakin’ bacon. I’m getting hungry just thinking about it. Yes, yes yes! This is a much better way to prepare bacon, but I don't think I'll ever commit to even trying chocolate covered bacon. That just doesn't sound right. Looking forward to the recipe for maple glazed bacon! So funny. I was at a church event last night and there was a chocolate fountain and one of the items to dip was BACON!!! I couldn't quite bring myself to do it. Does the bacon fat splatter the oven? Hi Deborah - no it doesn't, but I've heard that it can if the temp. is at 400° or higher. One reader even wrote in the comments on Facebook for this post that they had a fireball in their oven when they tried it at 400°. So my suggestion is to keep the temperature at 375°. We've had good success without splattering cooking bacon this way. Thanks so much for dropping by!